Uri: The Surgical Strike Day 32 Box Office: Vicky Kaushal starrer is exceeding the expectations on each day, at the box office. Currently running in its fifth week, the movie has shown a surprising hold on Monday. After crossing the coveted mark of 200 crore, Uri: The Surgical Strike is super-steady and bringing in some surprising figures. After raking an impressive collection of 12.37 crores in the weekend, the movie performed amazingly well on fifth Monday by adding another 1.66 crores. Uri now stands at the grand total of 214.56 crores. Uri: The Surgical Strike Day 32 Box Office: 5th Monday & Still Beating The New Releases! After the release, Manikarnika: The Queen Of Jhansi and Thackeray, the Aditya Dhar directorial did get affected in the number game but the tables got turned post-weekend. 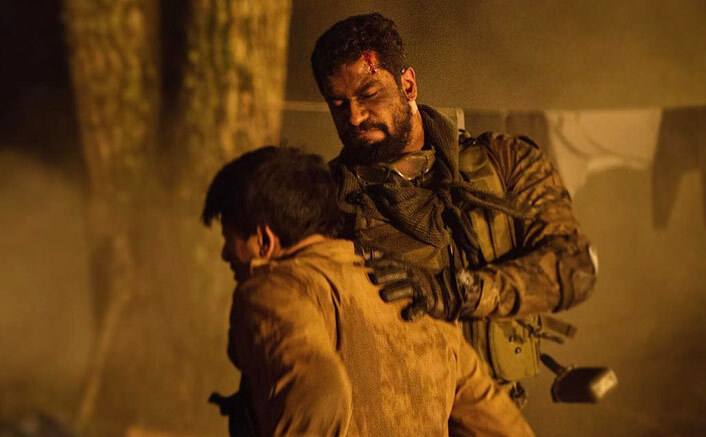 Upon its release, the movie based on the Surgical Strike by Indian Military, received rave reviews from critics as witnessed extraordinary word-of-mouth amongst the audience. Uri: The Surgical Strike features Vicky Kaushal and Yami Gautam in key roles and was released on 11th January 2019.